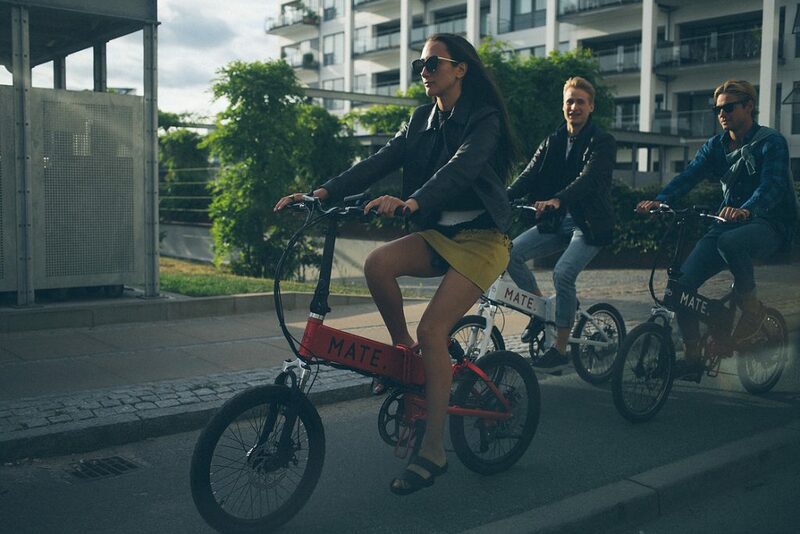 MATE eBike has just become the most successful crowdfunding project ever in Denmark and have now backers from more than 55 countries. The feature packed foldable eBike from the Danish entrepreneur duo reached its funding target of $80,000 in just 5 days and has since gone to amass a staggering $2.8 million. With 3,900+ backers from all over the world, 30% of which are from the US alone. MATE has found the winning formula for an eBike that is high quality, cool and affordable. But for Christian Adel Michael and Julie Kronstrøm Carton, the brother and sister team behind MATE, it’s not just about a bike, it’s about their mission: to get more people riding bikes worldwide. For Christian and Julie, cycling is more than a hobby or a mode of transport, it is a way of life. Born and raised in the world’s cycling capital, Copenhagen, the pair believes that life is simply better on two wheels. “It combines the best of all worlds: freedom, flexibility, fitness & fun and it’s good for the environment” says Julie. But they recognised that not all cities are as cycle friendly as Copenhagen. They understood that despite all of the positives of cycling, there are many barriers that stop people from jumping on the bike. Whether it’s varying levels of fitness, unsuitable terrain or safety concerns, the pair set out to offer a bike that would solve those problems and get more people riding more often. Their goal was to create the perfect bike for any rider and any given situation. And based on the overwhelmingly positive response to the crowdfunding campaign, it seems they may have done just that. MATE is a fully featured foldable eBike. It comes with a 250W or 350W motor, gets up to 55 miles on a single charge and has a top speed of 20mph, meaning that hills and long distances are a breeze. “It’s about giving the rider the choice. You can use the motor when you need it and pedal when you don’t. We wanted to make a bike great for both inner city living and suburban areas”, says Christian. As a foldable eBike, MATE offers ultimate portability and can be easily taken with you wherever you go. Whether in the train or bus, or popping it in the trunk of the car for longer journeys, the easy 3 step folding system removes concerns about theft, portability or storage. But perhaps most importantly, MATE is affordable. Recognising that price is often the biggest barrier, MATE has been made to be as affordable as possible. Competitive MSRP prices have been slashed by up to 70% for backers of the Indiegogo campaign. For a limited time only, backers of the MATE Indiegogo campaign can pick up a fully featured MATE for as low as $599. This pricing is all part of Christian and Julie’s dream to get more people around the world on two wheels and with the success so far, it appears that they are well on their way.